We’ve Won a ‘Woody’ Award! 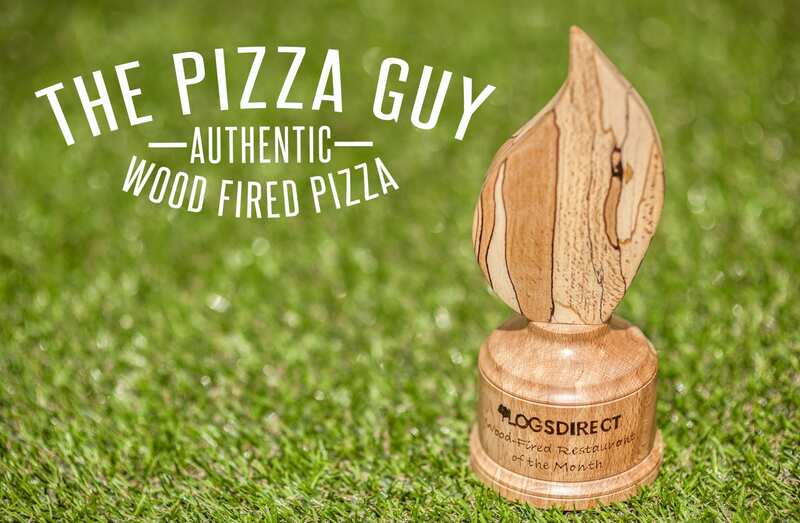 We’re so proud to announce that we have become the second winner of a ‘Woody Award’ from restaurant-grade wood-fuel provider, Logs Direct – a brand new award that recognises excellence with wood-fired cooking in the restaurant and catering sectors. Read our story from Street Food News: The Pizza Guy, a mobile pizza chef and event caterer from Yorkshire, who has innovatively fitted a wood-fired pizza oven inside his Land Rover, named Winnie, has scooped Logs Direct’s June 2015 Woody Award. News of his success has coincidentally come just as the Pizza Guy, otherwise known as Simon Walker, is celebrating his business’s first birthday, giving him a welcome boost and an endorsement of his first year’s achievements. He won the award – on the basis of great customer feedback and review. One customer, who had commented, “Mmmm that took me right back to Naples,” booked him for her wedding – a vindication hard to question! The Lancaster-based wood supplier should know, being in the enviable position of supplying some of Britain’s best-known chefs and TV food personalities. Simon’s story is an interesting one. He originally trained as a chef, but gave up his love of cooking to pursue a career in the media. A year ago, following redundancy from a career in radio, he returned to his first love and set out on the road, to take pizza excellence to a wide variety of weddings, private functions and corporate events. His Neapolitan-style pizzas use Caputo flour for the dough and San Marzano tomatoes, which grow in the foot hills of Mount Vesuvius, Naples for the base. He always offers the original Margherita pizza, as well as a Marinara, but also provides other pizza toppings, of his own creation, to give his diners a true artisan and home made experience. One of these is his own creation of hand made Italian sausage – a foodie treat that always leads to demand outstripping supply. Choosing a wood-fired pizza oven was a no-brainer for Simon, as he believes that gas simply cannot deliver a true pizza experience. He has built his brand around the strap-line of ‘Authentic Wood-Fired Pizza’ and wouldn’t consider anything other than cooking by natural flame. By adding wood smoke to the cooking process, The Pizza Guy is able to satisfy his desire to add a subtle and unmistakeable taste to his pizzas, which is appreciated by anyone who has enjoyed a wood-fired feast in the Mediterranean. He also feels that being able to place and position the wood gives him greater control of the heat – ensuring a perfectly cooked pizza, every time. Using Logs Direct’s logs makes sense to this pizza expert. He says that the perfectly kiln-dried wood that Logs Direct provides, with a moisture content of less than 20 per cent, prevents plumes of smoke developing. The logs also burn much hotter than regular cuts of wood, providing reliability, consistency and the rapid turnaround of pizza that is so important to an event caterer.